Years ago, we started talking about so-called free trial scams that seemed to be taking the internet by storm. At that time, I had no idea that today, five or six years later, these scams would not only still be around, but they’d be more prolific than ever. If you’ve spent much time at all searching for great supplements, whether it’s for bodybuilding, male enhancement, or nootropic support, you know what I’m talking about. If you’re just starting out, no doubt you’ll find out soon enough. Hopefully, you’re seeing this before you get screwed over, or at the very least, in time to stem the damage before it goes too far. Either way, read on to find out what these scams are all about, why they do it, how they work, and what you can do to protect yourself and your wallet against them. Note:If you’ve been the victim of a free trial scam, and are looking to cancel your trial, Click Here Now to see a list of phone numbers to call. Exaggerated advertising is nothing new. Does anybody really think “Red Bull gives you wings?” Probably not, but that didn’t stop the company from using the slogan for over 20 years. In the end, Red Bull was sued and had to pay customers $10 each as part of the settlement.It might make you believe someone out there has your back, and is at least trying to keep companies honest. But false, exaggerated, and tricky advertising is still rampant, and the supplement industry is a perfect example. For various reasons, supplements are one of the largest categories of products with a huge percentage of their sales occurring online. Since people take and use supplements continually month after month, the convenience of online ordering plays a significant role in this fact. In a lot of cases, customers can sign up for monthly orders so they never run out, and they have one less thing to worry about. 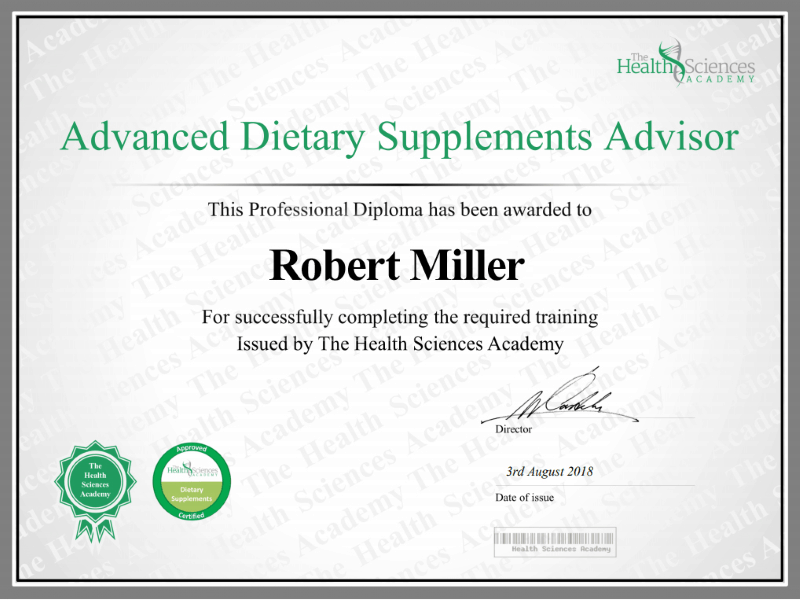 This is no doubt a great option for people who are certain they’re getting what they need from a supplement. But in the case of some online supplement suppliers, they’ve taken this convenience factor several steps too far, to the point that they take advantage of the unique combination of despair and hopefulness with which many customers approach the industry. It starts almost immediately after you first begin your search. Type “pre workout supplement” into Google, click on one or two of the top few results, and they’ve got you. Before you know it, targeted ads start showing up on all your social media feeds. No supplement category is immune. It’s on Facebook, Twitter, Instagram, you name it. They know you’re in the market for their products, so they put them right in front of you. Of course you’ll click the link. especially if you see the word “free” in it somewhere. On top of the “free” angle, they also want you to believe the hottest, most trending celebrities and athletes are using this very same supplement (or supplement stack) to get their massively sculpted bodies ready for their next role or the upcoming season. Take a look at this image of Dwayne “The Rock” Johnson. Notice the wording: “Hollywood Elites LIKE Dwayne Johnson use muscle supplements LIKE X Ripped and T Complex…” They never actually say The Rock uses these supplements. They almost say it, they imply it, they come “this close” to saying it. They certainly want you to think they said it. But if the law ever comes knocking, they can truthfully state they never “actually” said it. And this is just the tip of the iceberg when it comes to how these supplement scammers operate. They start out with half-truths and false promises about how great their products are, and it just gets worse from there. Oh, and did I mention they all use the same advertisement, nearly word for word? Sometimes exactly word for word. They switch out the products, but that’s about it. Everything else is just about the same. It’s a simple plug and play job.They have the framework all set up. All they need to do is plug in the names of the different pills, and they’re ready to go. This is how they get you interested. They know you want to get in better shape. That’s what targeted advertising does for them – it helps then narrow their market to people they know want the purported benefits. Next they play on your insecurities. They show you image after image of celebrities in great shape, making you believe (wrongly) that these products are what got them that way. Guys, Dwayne Johnson has personal trainers, dietitians, nutritionists, personal chefs, and access to the best gyms and equipment. AND he gets paid to look like he does! Or to put it another way, how his body looks is directly related to his making a crap-load of money. Talk about incentive! X Ripped and T Complex did NOT give him his body. The Rock has never even heard of these products. But thousands of guys read an “article” like this and think they’re his new go-to solution for muscle and strength. “I don’t believe you, Rob. They can’t say The Rock uses something when he doesn’t. There are laws against that sort of thing”. And you’re right on one point – there are laws about that sort of thing. That’s why they never come right out and say Dwayne Johnson uses these products. They very cleverly say that he uses products “like these”. Small difference in meaning, huge difference in legality. I promise you, Dwayne Johnson does not use X Ripped and T Complex, or any of the other stacks that use his likeness. Very shortly, I will provide the answer. For now, let’sget back to those ads for a second. If you scroll down past the celebrity hook, in most cases, you’ll get to the part where the author talks about his experience. The writer goes through a week by week breakdown of how he was feeling while he used the stack. Sometimes, the writer has a name. Sometimes he doesn’t. But here’s the thing. Dozens of different stacks use the EXACT SAME STATEMENTS, word for word. The only thing they change is, once again, the name of the product. This guy, whether they use his name or not, hasn’t actually used all of these supplements and gotten the exact same results, and used the same exact words to describe them. To think he had would be ridiculous. Yet this doesn’t stop the scammers from putting these ads out there, pretending they’re independent articles. Now here are the WEEK TWO RESULTS of a writer talking about Muscle Boost X and Testoboost. Notice in this one, they don’t even bother using the actual product names. This way it’s even easier to copy and paste the paragraphs and splice together the ad for the next hyped up stack. You may ask again, “But Rob, how can he say he used it and got these results, when he really didn’t?” The answer to this one is very simple. If you look real hard at any of these scam articles, you’ll find a disclaimer. Some are brief, with only one vague statement that the article isn’t an article at all, but really an “Advertorial”. Gotta love the lingo, right? It’s a cross between “advertisement” and “editorial”. Others are more fleshed out, explaining away every possible misconception. The content is sponsored by the supplement makers. The featured celebrities do not endorse the products. The company has no affiliation with the news media. The webpage/article provides links that if you click them, provides the company with compensation. And here’s the big kicker – the real evidence that these articles are completely fake. Starting to believe there’s a problem here? Sure, there’s the false advertising side of the equation, and that’s bad enough on its own. But if this makes you angry, just wait to you find out about how the the “Free Trial”scam itself works. But If It’s Free, What’s the Harm in Trying? Free trial supplement offers are all over the internet, not just with these “celebrity muscle stack” scams. In addition to workout supplements, the technique is popular with the diet pills, male sexual performance pills and brain boosting/nootropic supplements as well. They get a captive audience, people looking to improve their lives, and they offer them something that looks like it can really help… for free. The truth is it’s not free at all, and that’s the the harm in trying. The word “free” has long been known in the advertising world to be one of the most effective ways to get a potential customer’s attention. Of course, in most cases, free turns out to be anything but. You may get “something” free, but it’s probably not what you thought you’d be getting or not how you thought you’d be getting it. They hook you in with a promise of a “free trial”. Just pay a small shipping fee and the product is yours. But once you fork over your address and credit card number to pay that small shipping fee and they send you the product, they’ve got you right where they want you. A short time later, usually 14 days, they charge you full price for what you thought you were getting for free. AND they charge you that same full price every month, month after month, until you figure out that you have to call them and cancel your “subscription”. Most customers are taken completely off guard by the additional charges. Like we mentioned above, they have no idea they’ve signed up for a subscription at all. A lot of us consider ourselves savvy consumers. We’ve been around the block a few times, and as such, we don’t just jump at offers that look too good to be true. We look around the website, we read through the whole offer. And we try to find the catch. Some people – less experienced consumers perhaps – jump in with both feet without much forethought or concern, but most have at least an inkling that there must be a catch.So what are they missing? If you take anything away from this article at all, I hope it’s thefact thatfinding and reading the Terms and Conditions of any offer is extremely important, especially those that look too good to be true. That’s one of the things that makes this scam so infuriating. A lot of customers look for the scam, they don’t see it, so they move forward for the price of shipping. This is why they are so incredibly angry when they finally do find out they’ve been scammed. Readers often write to me swearing that they were never informed of the terms. But TECHNICALLY, they were informed. The information is there. They just make it as difficult as possible to find. No mention at all of a subscription or of future commitments to pay.No mention that the trial has an expiration date at all, much less that it’s only 14 days from now. There several things to notice here, not the least of which is what you don’t see. You don’t see any mention of a subscription here, and it doesn’t say anything about the trial lasting only 14 days.In fact, the only mention of a time frame at all is where they say you’ll get a 30-day supply. The only way you’ll know about any of this is if you actively click on the “Terms” link. The existence of this page is what allows them to make charges to your credit card that you never knowingly authorized. You have every right to be pissed off, and a lot of people think there may be legal recourse against the scammers, but as scummy and deceitful as this setup is, it’s not illegal because they do publish the terms. I get emails every day from readers who are absolutely livid because they now understand that they’ve been scammed, and either they don’t know what to do about it or they are having a great deal of difficulty navigating their way out of it. I was 1 day late in canceling and they stung me for $280AUD , but they didn’t really cancel the order so 2 weeks later – bam another $280AUD , I rang up screaming and ordered a confirmation email that the order had been canceled, and told them that as soon as the product arrived in the mail I’d be requesting a return and refund, they said that they would issue an RMA number to return the product, guess what, the first product arrives I call for an RMA and they say, oh sorry you have lodged a dispute through the bank you will have to go that way now, so I call the bank, no dispute had been lodged but now I have to, and the bank explains it will take 6 weeks and the company can lodge there reasons for not repaying, so good luck to me, and be warned, Hyper Tone Force is and very big SCAM. Chris’ email points out the difficulty so many customers face once they figure out they’ve been scammed and they’re trying to figure out how to stop the bleeding.Any company that will hide the actual terms of their offer have NO INTEREST WHATSOVER and making sure their customers are well taken care of. Chances are when you figure out you’re being charged and you try to end the program or get a refund, they have no intention of making it easy for you. I have heard from a few customers that they had little or no trouble canceling, but many many more find themselves in a nightmare of long hold times and no real resolution for weeks, or even months. The first thing to do is call the company to cancel any future shipments and payments. If you can find the product website again, there should be a contact number there. If you have no luck there, check our Free Trial Cancellation Number Page. It’s a list of contact numbers we’ve builtover the years with the help of readers. If you can’t find the numberthere, look at the transaction on your credit card statement. There should be a phone number listed with it. If not, call your bank or credit card company. They should have a valid contact number. They may even be able to initiate a 3-way call with you and the company. When you cancel, be sure to ask for email confirmation, in case you need to prove later that you made the call. If you’re lucky, the first step will go smoothly and you’ll be all set. But for lots of our readers, that’s just not the case. Some will offer a discount if you continue your subscription, or they’ll tell you you need to pay a restocking fee for returns. Don’t take the bait. Continue to insist that they cancel everything and provide the information you need to return your product for a full refund. If they persist, tell them your next call is to your State Attorney General or the Better Business Bureau. Sometimes, now matter how hard you try, you cannot find a working phone number. This goes back to the issue of these companies packing it in so often. They take your money and disappear.They exist just enough to keep billing you month after month, but there’s no way to contact them. If this is the case, contact your credit card company and tell them you don’t authorize charges from this company any longer, and initiate a fraud dispute. Some guys prefer to just cancel their card altogether to be on the safe side, but generally your credit card company will work with you. If you want to spread the word about the scammer, contact the Better Business Bureau or other consumer protection agency in your jurisdiction. The most important thing is to know that these scams are out there, and they’re not the exception, they’re the rule. If you’re online and you see a supplement offered on a Free or Trial basis, you can be assured that this is most likely a scam. I think most of us assume that if there’s a catch, they have to make us agree to it ACTIVELY before they can stick it to us.But they don’t. It’s called a “Negative Option” and as long as there’s a link to the Terms, they don’t have to make you actively agree. They can just refer you to the terms later, once it’s too late because you’ve already been screwed. Before you order a supplement online, make sure you find the Terms and read them. Look for words like “Autoship” and “Subscription,” and look for prices. These are sure signs that a free trial scam is what you’re looking at. What If You Still Want To Try It? Even if you know the free trial is a scam, you might decide to go ahead with it, planning to cancel before the charges kick in. This is a perfectly fine option, but there are a few steps you need to take to make sure you don’t end up on the losing end. Find, read, and fully understand the terms of the deal. Note the date of your order, mark it on the calendar, and make another mark 12 days ahead. Write down the phone number listed on the Terms page. Call 12 days after your order date. This ensures you’re calling in time. Tell them you wish to cancel your subscription. They will try to entice you with discounts and perhaps additional products. Don’t take the bait. Ask that they send you an email confirming your cancellation. If you follow these steps to a T, you should come out unscathed. The free trial scam is pervasive in the online supplement market.Chances are if you haven’t come across it already, you will sometime soon. Hopefully, after reading this article, you’re more prepared, and can protect yourself. The easiest, most hassle-free way to go is not to order these supplements at all. But if you do, make sure you’re prepared to cancel in time. If you’re here because you’ve been scammed, check our Free Trial Cancellation page for the number to call to cancel your subscription, and follow the steps above. As shady as this practice is, it’s not illegal and it’s not going away any time soon. The best we can do is prepare ourselves to come out unscathed. Have You Been Scammed? Leave a Comment Below!